Employee Handbooks: Are They Enforceable Contract Rights? When I hear the perks enjoyed by some corporate employees – the flex time, the telecommuting, bosses who live and work in other states, getting to “work” from home about 310 days a year, etc. – I can’t help but be a bit mystified and envious. “I know I went to Starbucks 18 times and the gym 14 times today, but I AM working. Honest!” Good thing I’m not jealous (cough). Or projecting (cough cough). Now add a corporate Home Sale Buyout Program (the Home Sale Program) to the list of fringe amenities I’ve neither heard of nor experienced. That’s what’s involved in Carpenter v. Sirva Relocation, LLC, 2013 WL 6454253 (N.D.Ill. 2013), a recent Northern District case where a transferred Office Depot employee sued her employer and its relocation company for not honoring promised relocation benefits. The plaintiff agreed to move to another state to assume a manager position and sought relocation from her employer. Office Depot offered a three-pronged program that included facilitating the employee’s home sale, providing moving expenses and an additional lump sum payment. The relocation program was administered by a third-party relocation company -an Office Depot independent contractor. A salient feature of the relocation package was that if the employee’s house didn’t sell after 90 days market time, The employer would buy the home based on a contractual pricing formula. After plaintiff accepted the transfer and moved out of state, The Office Depot told plaintiff that it couldn’t buy plaintiff’s Chicago home since it was a Co-op – a property type outside the scope of the relocation program. Plaintiff brought contract and tort claims against Office Depot and its independent relocation contractor. Both defendants moved for summary judgment on all claims. Held: Plaintiff’s breach of contract claim against Office Depot survives summary judgment. 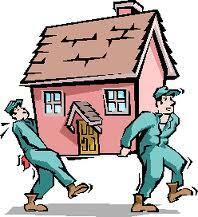 Plaintiffs’ claims against moving contractor don’t. The Court denied Office Depot’s summary judgment motion on plaintiff’s breach of contract claim. Plaintiff’s claim was premised on an email and written benefits guide that summarized the relocation benefits. The guide contained profuse boilerplate disclaimers. An Illinois breach of contract plaintiff must show (1) the existence of a valid contract, (2) substantial performance by the plaintiff, (3) breach by the defendant, and (4) resulting damages. For an employee handbook to create enforceable contract rights, (1) the handbook must contain a clear promise such that the employee believes an offer has been made, (2) it must be disseminated to the employee such that the employee reasonably believes the handbook consists of an offer, and (3) the employee must accept the offer by starting or continuing to work after he sees the policy/handbook statement. An employment contract disclaimer – if clear and direct – is a defense to a breach of contract suit based on an employee handbook. *5. Applying these rules, the Court held that the plaintiff offered sufficient breach of contract evidence to defeat Office Depot’s summary judgment motion. The Court found the e-mail attachment that sketched out the Relocation program was clear and definite enough to support a colorable contract claim. The plaintiff also offered evidence that she never saw the benefits guide that contained the co-op disclaimer. She also showed that she accepted the job transfer in reliance on Office Depot’s email that didn’t mention the co-op exclusion. Taken together, this was enough for plaintiff to go to trial on her breach of contract claim. *5-6. The Court did sustain the relocation contractor’s summary judgment motion. There was no direct contact between plaintiff and the contractor as all talks flowed through Office Depot. The plaintiff also didn’t show she was a third-party beneficiary of the subcontract agreement between Office Depot and the moving company: there was nothing in the subcontract that reflected an intent to benefit the plaintiff.*6. Take-aways: Employer handbooks and published policies can create enforceable contract rights if they are specific enough for a reasonable reader to infer that an offer or promise has been made. The case also solidifies contract law axiom that there must be privity – a connection – between two parties to give rise to contract rights. Here, since there was no direct contact between plaintiff and the relocation company, the plaintiff couldn’t state a breach of contract claim against the company.